One more week to go and we’re off on our first cycle tour of the season! For seven days you will get to enjoy unparalleled romantic river and valley views while whizzing along sophisticated cycle ways joining them all up. 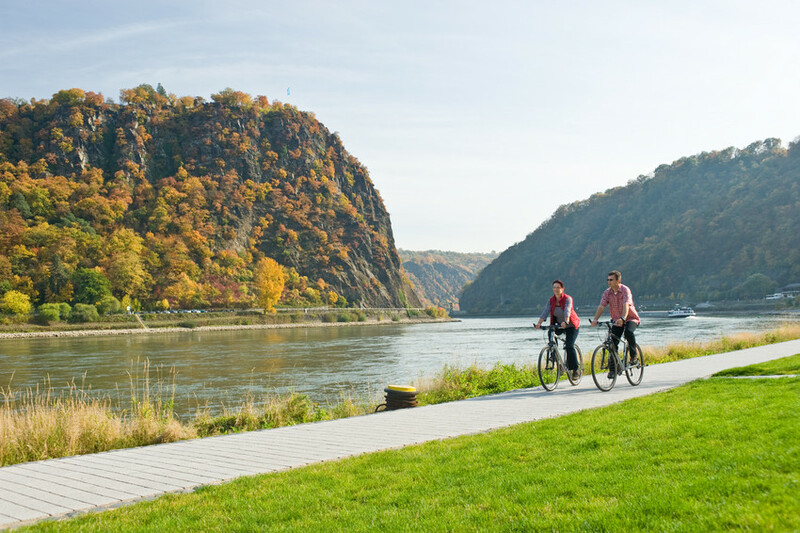 Along the Saar and Moselle we’ve got a great selection of World Heritage sites, lifestyle experiences and a bit of history lined up. New Zealand cycling enthusiasts can look forward to Germany’s extensive and well-maintained cycle road network: usually separated lanes with smooth surfaces linking suburbs and small towns, even in most cities one can travel without a worry and enjoy the sights. Even though it does pay to keep an eye out for the traffic when you do have to join it, remember: it’s the other side! The Right side! Follow your guides and you will be fine. 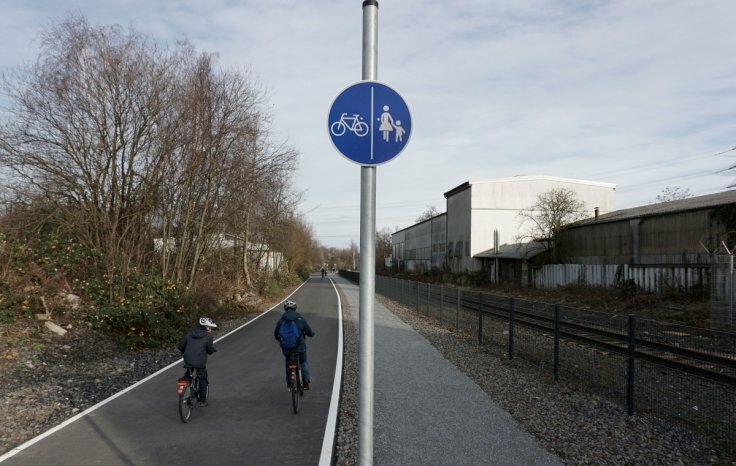 But, on the note of cycle ways: at the end of last year the first 5 km section of a cycle-highway was opened in the Ruhr region. A densely populated industrial area, home to various old and new industries and universities, it is planning to use abandoned railway tracks to create a car-free network for cyclists to use. Ultimately it will cover around 100kms of the region and long-term connect to other networks being created throughout Germany like in Munich and Cologne for example. Already along the major tourist routes local councils have improved the cycle ways to facilitate greater use by tourists and locals alike. 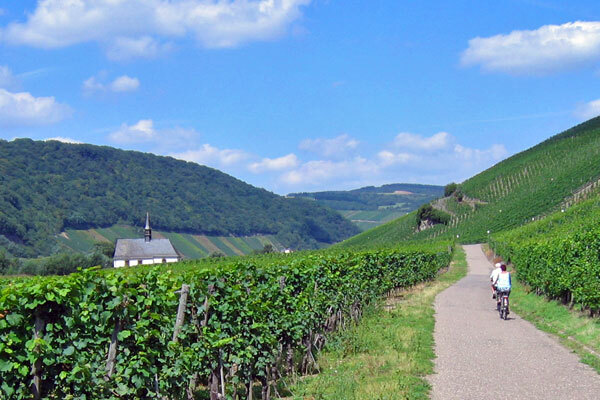 These will be our major means of discovering the hidden treasures of the Saar and Moselle valleys. 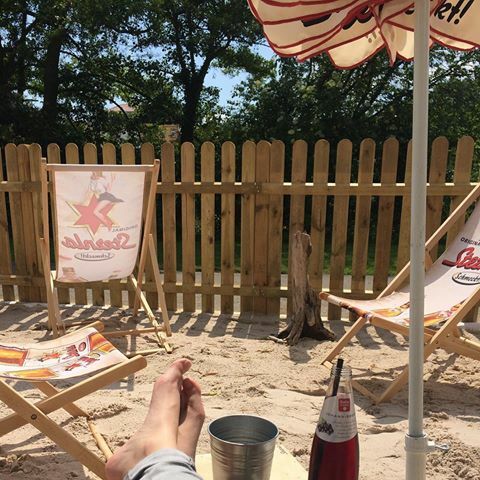 Wishing our guests good weather and lots of fun for their trip! 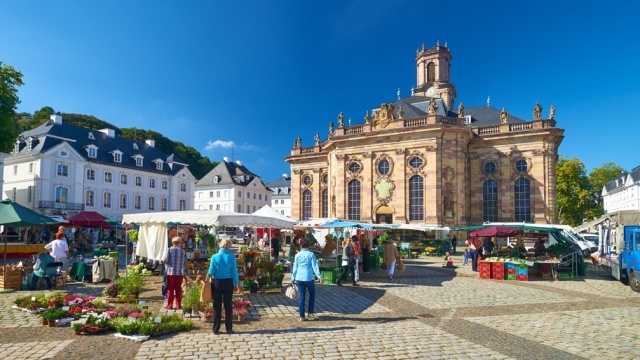 For the start of our tour in Saarbrücken we had some interesting suggestions of what else to see and explore there while enjoying a bit of spare time. We thought you might be interested to see what is on offer at the other end of the tour. 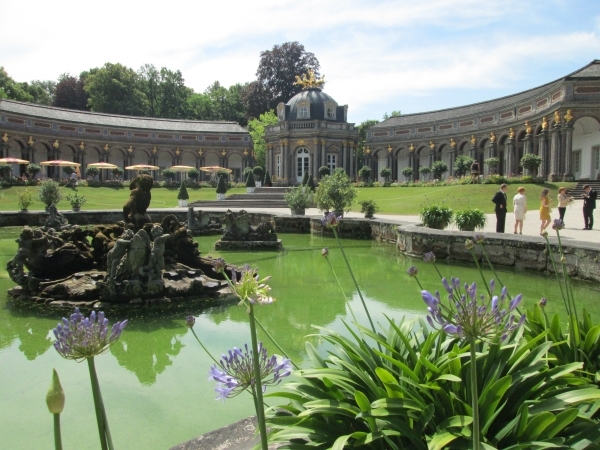 Whether you’re spending an extra day here in Koblenz before joining us on the Rhine and Romans Tour or just killing some time before heading to other destinations, we found a few interesting things to do on 29th and 31st of May 2016. 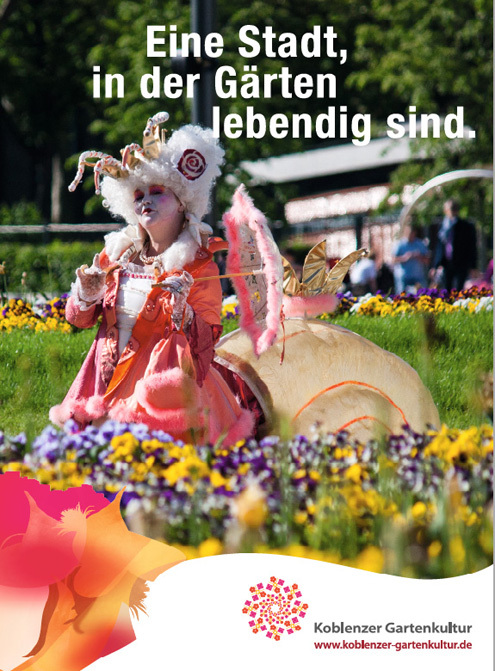 In 2011 Koblenz hosted the BuGa and developed the motto that inspires its annual art, cultural and horticultural activities, “Koblenzer Gartenkultur”. For the last weekend in May there’s a couple of interesting things happening around the Ehrenbreitstein Fortress: throughout Sunday the local Tai Chi, Qigong and meditation groups have workshops and presentations throughout the day. 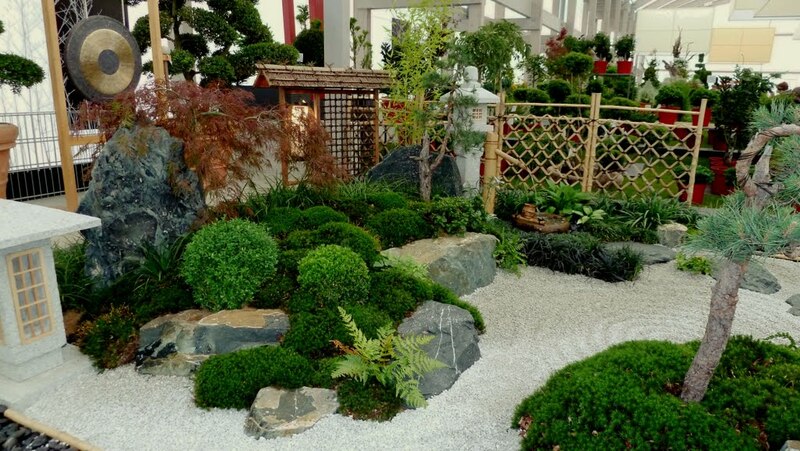 To complement the Asian topic, the local bonsai club will have a display at the castle and you can find out all the nitty gritty details about this fascinating horticultural hobby. If you’re more inclined to amble amongst artefacts, check out the city’s museum web site, in English! Lots to see and what got my attention was an exhibition titled “Are any British here?” An exhibition of the creative output by numerous British artists who visited the Rhine and Moselle valleys in the 18th and 19th century. The exhibition is at the Mittelrhein Museum, which unfortunately is not open on Mondays, so you might have to stay a day longer?! If not, there is one covering the history of military engineering in Germany or enjoy a guided tour through the local wine and sparkling wine maker cellar Deinhard. Monday seems to be the day-off for most other museums in Koblenz at the moment, so if you want to explore the culture and history you might need to stay for Tuesday as well. Unless of course you’re back on the road on Monday, discovering all about the Rhine and the Romans with our local tour guides. 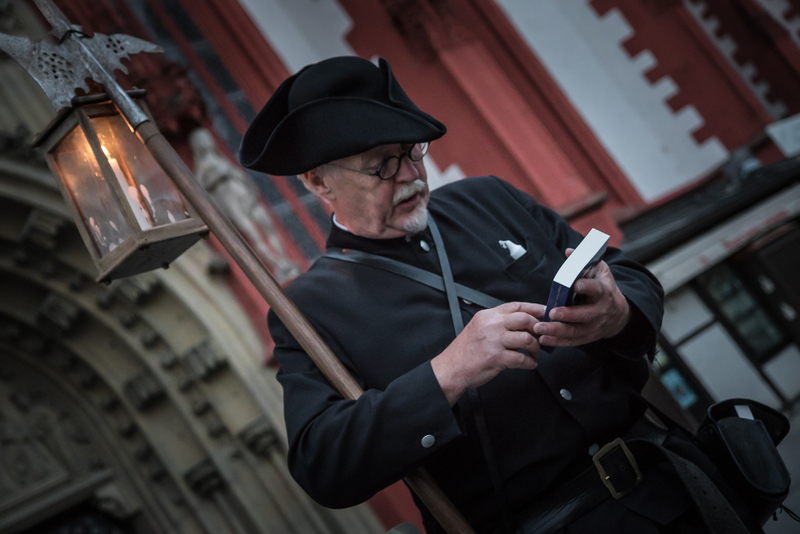 Once you have emerged from the enchanting castle you will have the opportunity to discover how the locals celebrate their cultural heritage: during the week of the 25th and 29th of May the Mosel Wine Week is being held in Cochem. The walk around the castle should have built up an appetite and strolling across the market you will be able to sample local food made to perfectly accompany the locally grown and produced wines and sparkling wines. Whether you’ll prefer to sit down at one of the vineyards’ stalls or wander from one to another, you will get a good a sampling of the different wines. Every place has their unique set of people that influence the feel and look of a town. 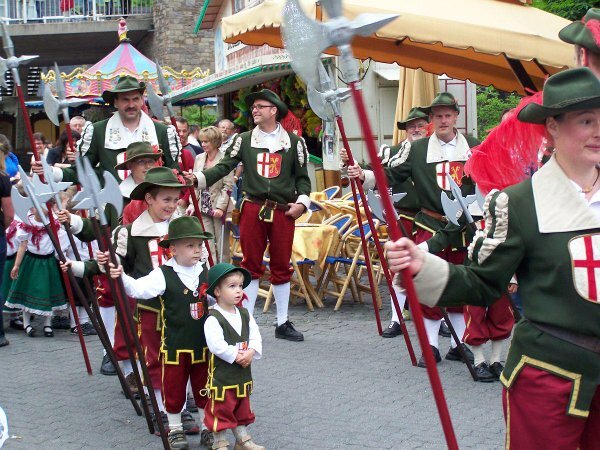 In Cochem the local bands – ranging from modern covers to traditional German folk – provide the audio side of it during the festival, while you might be able to spot the Queen of Wine Charlotte I. and her Princess Isabel amongst the stalls and displays. 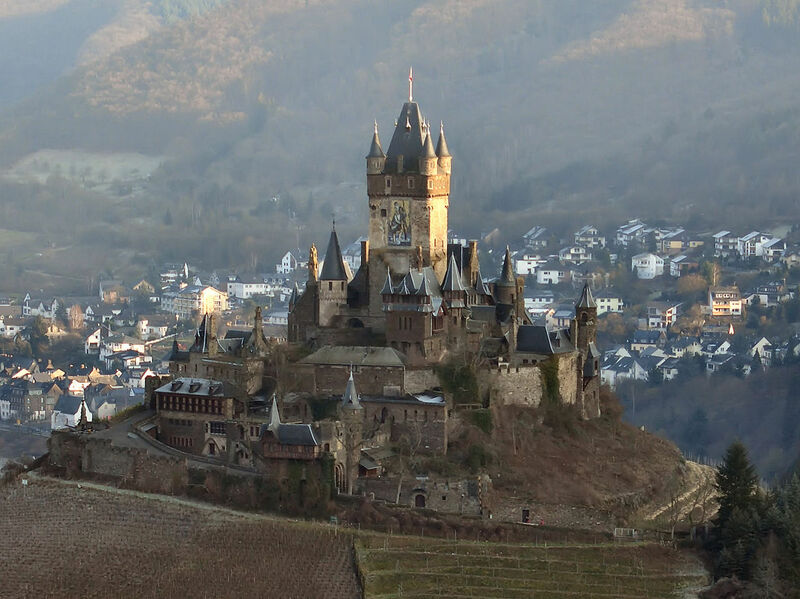 The wine royalty symbolically represent the city and region of Cochem during tourism and other economic presentations, events and fund-raisers nationally and internationally. As ambassadors for a wine growing region, their motto says it best: visit Cochem to sample the care and attention given to the wines that make them so special, because the best place to try something is in its home town! Congratulations: you’ve decided to join us on our cycle trip along the Saar and Moselle this May and have arrived a day or two early in Saarbrücken. What an excellent opportunity to discover what the locals do on their weekends. As Germany is now well on its way into summer, a lot of outdoor activities are happening around the city. Check out some of the samples we have collated for you for the weekend of the 21st and 22nd of May 2016. Saturday is THE day to go to a farmers market and within a 3km radius of the city centre you can find three that sell local produce and crafty stuff. But mainly food: fresh fruit and veges, breads and cakes and everything else your palate can imagine. As it would have been in the good old days, usually these market are situated around a local church and you will find one at the Ludwigskirche and Sankt Johann. While you will be going on a guided city tour on Sunday, you might think about going on a boat trip on Saturday: whether just a short trip around the city area or even on a trip to France, have a look at one of the local transport companies’ booklets to get an idea. In the evenings the city has a variety of entertainment on offer as well: the local clubs present an eclectic mix of Oldies to modern pop music, theatres have productions of the Elephant Man, The Little Mermaid and modern dance/ballet from Czechoslovakia. An interesting item on this weekend is the open day at one of the local fire brigades and the 4th anniversary of the youth section there. Not only will you be able to have a look at a German fire station, but can watch a Bobby car race there. 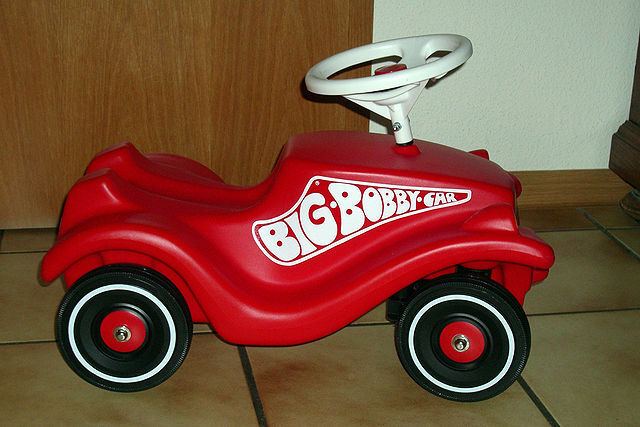 Kind of like the Jaffa race down Baldwin street in Dunedin but on a kids toy, the Bobby car. If you prefer your entertainment a bit quieter, the local museums can give you plentiful insights into the local history, arts and crafts. A look on the city’s web site could make it easy, except there’s so much to see and so little time. Pick wisely or book a couple of days more and enjoy the sights and events around Saarbrücken at your leisure. Having left Hamelin and any pied pipers behind us, we gently bike north along the Weser. Along the river we encounter more examples of the famed Weser Renaissance architecture and countless ‘little’ waterways and lakes. These lakes are mostly quarry ponds turned into public swimming lakes and recreational parks. One of the more famous one is the Doktorsee, west of Rinteln. 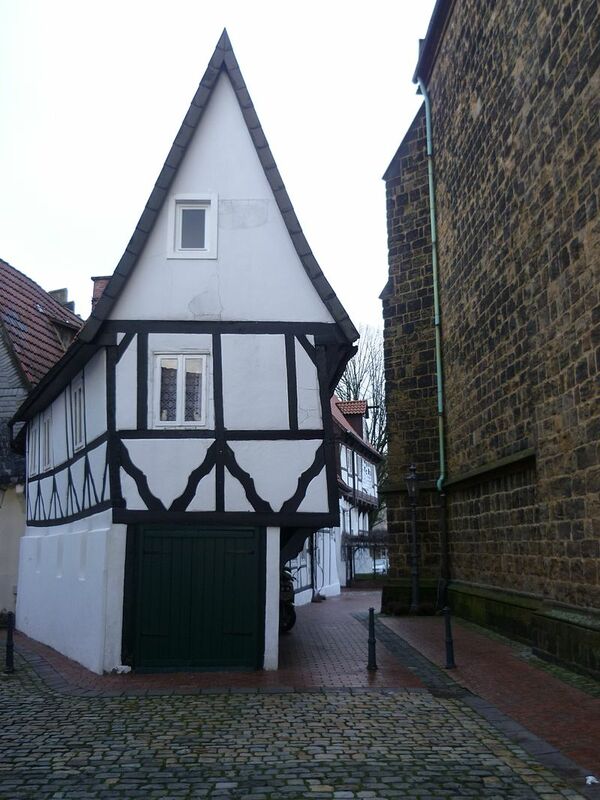 Rinteln itself is another well preserved example of the regional architecture and shows a city that had managed to procure city rights early on – which meant taxing anyone and anything traveling on the Weser and through town – and maintain that profitable position for a considerable time. 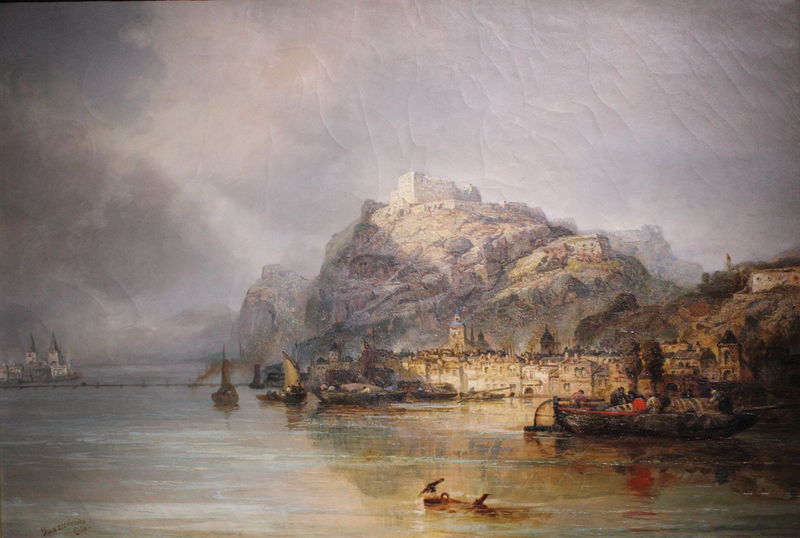 For two centuries – from 1619 – 1810 – it was even a moderately famous university town. Its adaptability was crucial for survival, as the politics, alliances and ownership changed frequently in those times. As we continue towards Minden we come through Porta Westfalica, a city that was created in a communal land reform in 1973 and unites 15 local villages and communities. 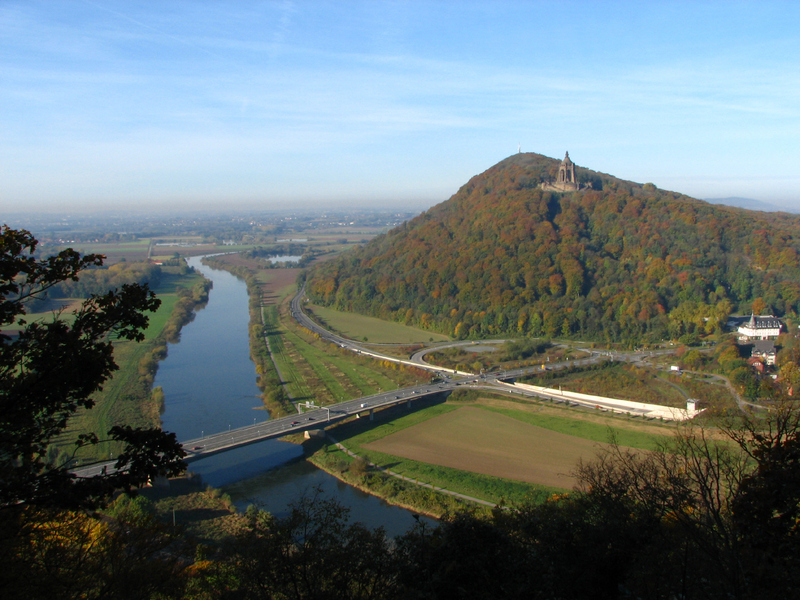 Its name comes from the central geographical feature of the region: the gorge between two mountain ranges, where the river Weser cuts through and enters the north German lowlands. This area has been called Porta Westfalica since the early 18th century, when it was fashionable for the elite to use Latin or French terms and means ‘gateway to Westfalia’. One could imagine this region having enjoyed a similar economic success as Rinteln, but because the only towns in this area with city and taxing rights didn’t have bridges across the Weser and were not connected to any major trade routes, they didn’t fare as well. This changed in the 19th century with the first bridge across the Weser in 1864 and the establishment of a railway connection to Cologne. The city of Minden has a colourful history dating back to the 3rd century A.D. 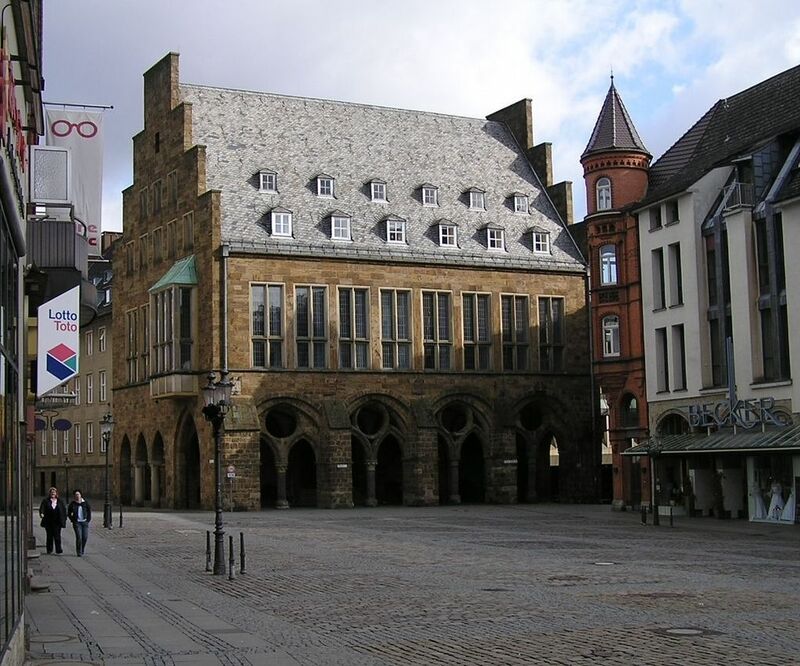 Being located along the Weser and substantial economic rights being granted in 977 meant it became a prosperous city and the center of attention in the wars that ravaged the region during the 17th and 18th centuries. The 20th century proved equally difficult and the town sustained heavy damages towards the end of WWII, when bombings aimed at destroying underground war equipment factories destroyed large parts of the historic center. Unfortunately afterwards decisions were made to demolish damaged buildings and replace with modern structures. Despite that, a few of the more impressive buildings have survived and are now well looked after. 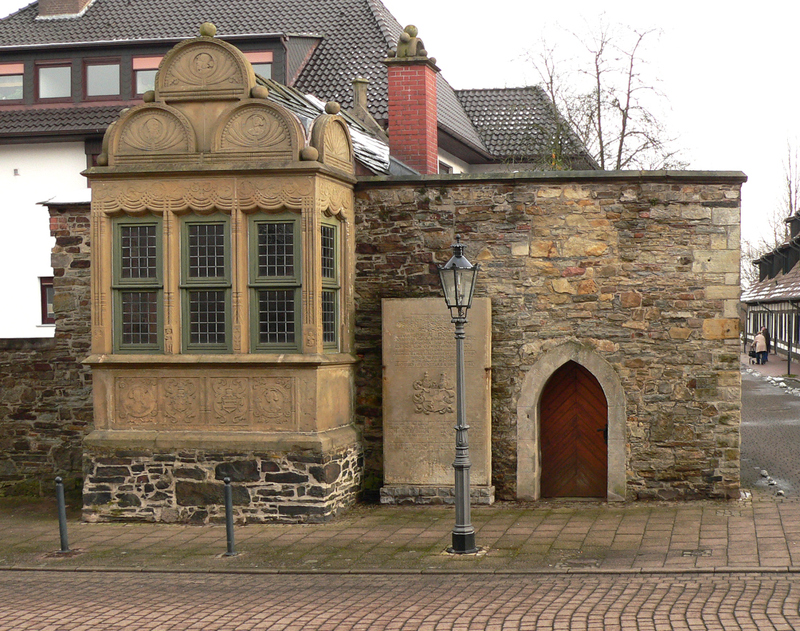 Just a few examples: the reconstructed Minden Cathedral in the Romanesque/Gothic style; Minden old city hall, the oldest monumental Gothic city hall in the whole of Westfalia; the smallest building in the city – ‘Haus am Windloch’ – was built in the 17th century as residence for the local city musician, who also maintained and played the churches’ organ. It was built so close to the church that the gap channeled very strong winds. There are plenty of other buildings to admire as well on a quick tour through the city center. Tall tales start in Bodenwerder, well some of the tallest have been started by a fictional character, the infamous Baron Münchhausen, who is the first person narrator of ‘Baron Münchhausen’s Narrative of his Marvellous Travels and Campaigns in Russia’, a satirical work with political aims. 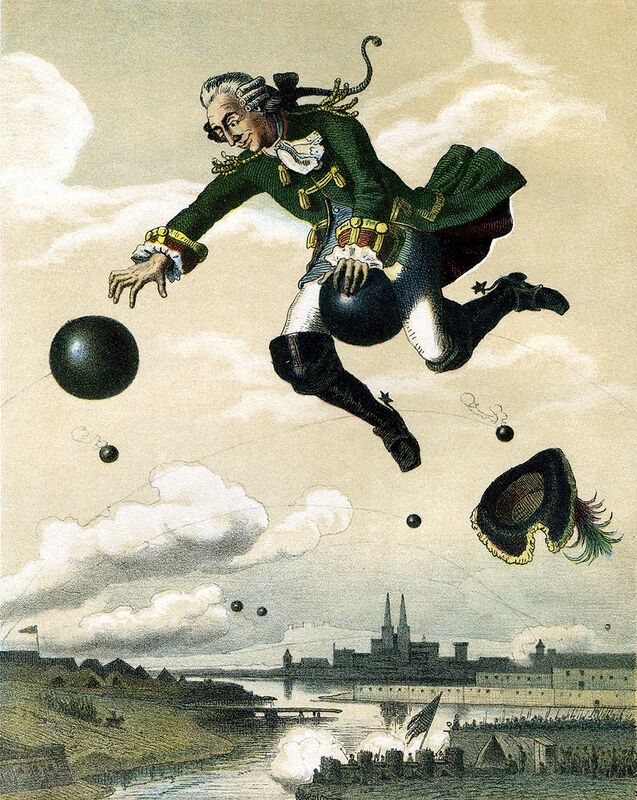 Some of us might know, that there was a real Baron Münchhausen, who was born in Bodenwerder and who did love to tell some rather tall tales of his military career. But when these stories were adapted and published anonymously, the real Baron was so outraged that he threatened to sue the publisher and the author decided to remain anonymous. Not until Rudolf Erich Raspe had died could his authorship be confirmed. 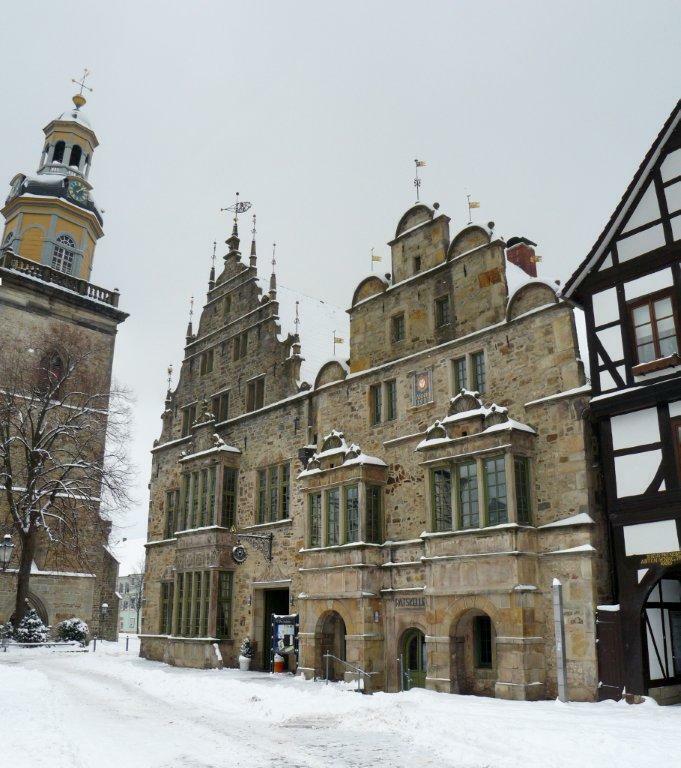 Our next stop through this picturesque part of Germany is another famous fairy tale town: Hamelin. 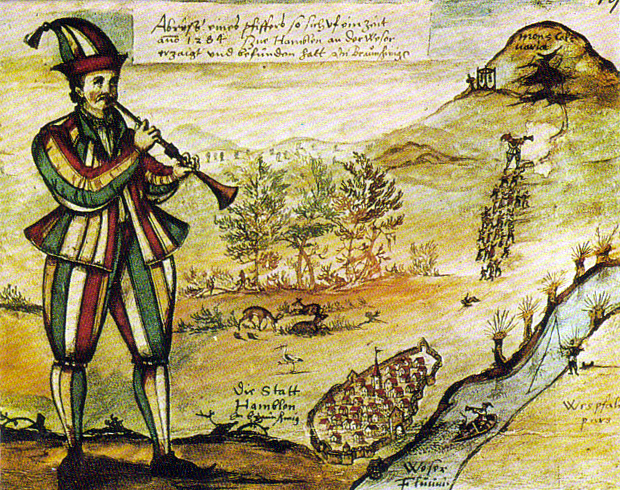 The Pied Piper of Hamelin and his abduction of the city’s children have been a topic of tales and fairy tales for the past 800 centuries. As early as 1300 the story was told on glass stained windows in the church of Hamelin. Many researchers have wondered and examined what the root of this tale was and have come to some interesting conclusions. Most notably is one theory, that all a city’s inhabitants were referred to as the city’s children and that they may have been enticed to emigrate to other parts of Germany and Poland to populate these regions. Comparisons of family names suggests and supports that theory. Whatever the historic truths, it has given many authors and artists opportunities to expand and illustrate it in various ways. During your guided tour through the town you will not only learn about this famous tale, but also about Hamelin’s history and architecture.